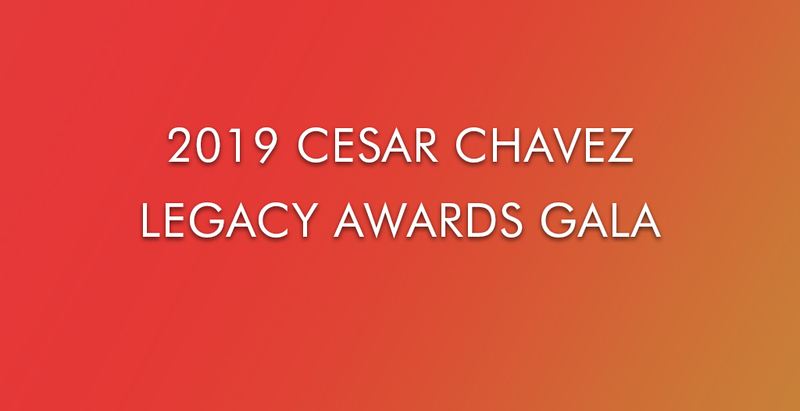 "On Cesar Chavez Day, a look at the labor leader's complex legacy"
The Cesar Chavez Foundation invites you to join us in celebrating our 18th annual Legacy Awards Gala. The event will bring together national and local leaders from every sector of business, government, labor and education and promises to be as entertaining as it will be inspiring. On this night, we will remember the life and work of Cesar Chavez and honor distinguished individuals for their commitment to social justice and their positive contributions and outstanding leadership in their respective fields The Cesar Chavez Legacy Awards are presented to individuals who exemplify excellence and commitment to community and advocacy. 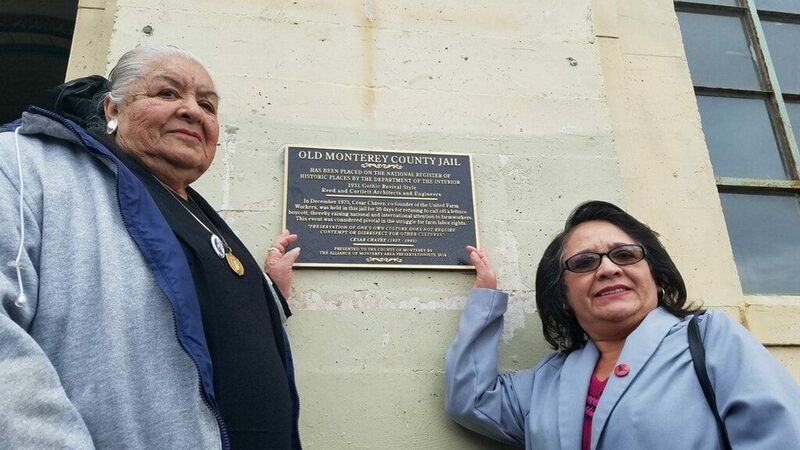 A bronze plaque was dedicated Tuesday, December 4 in Salinas outside the Old Monterey County Jail, which was listed on the National Register of Historic Places in 2004 because of its link with the incarceration there of Cesar Chavez on Dec. 4, 1970. He had disobeyed a rural judge’s injunction against the boycott of a huge Salinas Valley vegetable grower. As he was being led away in the Salinas courtroom after the judge ordered him to jail, Chavez defiantly said, “Boycott the hell out of them.” After 20 days, on Christmas Eve, he was ordered set free by the California Supreme Court, which later found the injunction unconstitutional. Coretta Scott King and Ethel Kennedy, widows of Dr. Martin Luther King Jr. and Senator Robert F. Kennedy, visited him at the jail. "Yonkers school renamed after civil rights advocate"
June 20 celebration features speaking program with Foundation President Paul Chavez, District 3 representative for Fresno Board of Supervisors Sal Quintero, and son of Sal Gonzales Sr.
FRESNO, CA (June 19, 2018) – The Cesar Chavez Foundation is holding a groundbreaking ceremony for Las Palmas de Sal Gonzales, Sr., a new intergenerational affordable housing community in southeast Fresno on June 20. This new residential community will feature 135 units of affordable housing. 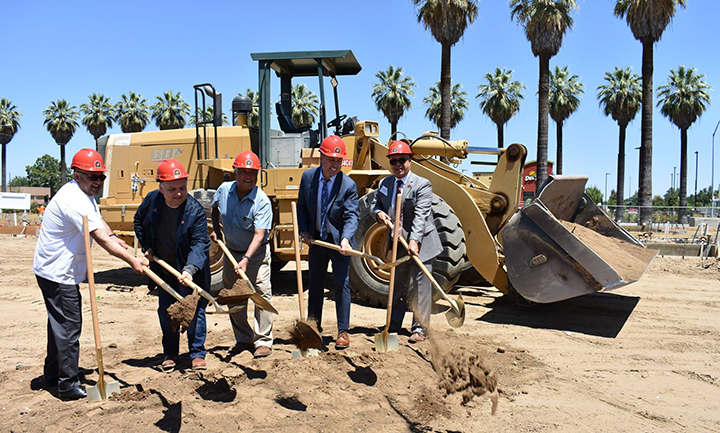 Eighty-nine units at Las Palmas de Sal Gonzales, Sr. will be designated for low income families and an additional 46 units for low income seniors. The buildings will include a computer lab, recreational room, community kitchen, patio courtyard, picnic area, garden area, child activity area, two multipurpose rooms, a library and senior activity area. The property will house a Si Se Puede Learning Center, CCF’s flagship afterschool program available to young residents, as well as a Si Se Puede Senior Center that enables resident seniors to be active both mentally and physically and empower them to develop joyful, healthful and meaningful lives. The project was funded primarily through California’s cap and trade program – one of the largest amounts given out in California. It received federal tax credits, state tax credits, tax exempt bonds proceeds and assistance from the City of Fresno. Las Palmas de Sal Gonzales, Sr. will be an energy efficient property with walk paths, bike paths, improved crosswalks and street lighting to better connect residents to four new bus rapid transit stops along the Kings Canyon corridor, linking residents and riders to major retail, social services, education and employment opportunities. The property is named for Sal Gonzales, Sr. a farmworker and delegate at the United Farm Workers (UFW) Founding Convention in 1962. He supported Cesar Chavez, the UFW and union strikes including the Delano grape walkouts. Sal was very active in politics and aided farm worker lobbying efforts in Sacramento. 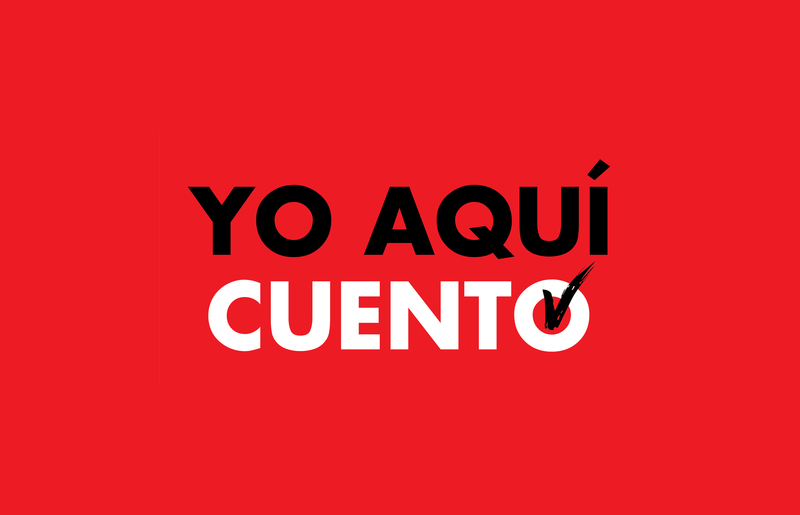 He was the director of an anti-poverty program called West Side Planning which assisted small Latino family farmers. When: Wednesday, June 20, 2018 at 11:00 a.m.
March 5th Event at Los Angeles’ RFK Community Schools, Serving Mostly Immigrant Students, Who Will Learn of Watershed Event Linking Two Iconic Figures in History LOS ANGELES — Mar. 5, 2018 — For Immediate Release — Los Angeles, California and national civil rights leaders are coming together to commemorate one of the most iconic events in the history of the Latino civil and labor rights movement, it was announced today by the organizations hosting the event, the Cesar Chavez Foundation and Robert F. Kennedy Human Rights. The event – honoring the late Cesar Chavez, one of the most iconic Latino civil rights leaders in U.S. history, and the late Senator Robert F. Kennedy, a champion of civil rights and the poor who fervently embraced Chavez’s nonviolent cause – will be held at Robert F. Kennedy Community Schools on the former site of the Ambassador Hotel where Kennedy was assassinated and that now serves primarily low-income, immigrant children. March 31 is Cesar Chavez Day (his birthday), celebrated as a state holiday in California and a number of other states. March 10 is the 50th anniversary of the end of Chavez’s 25-day, water-only fast that threatened his life. 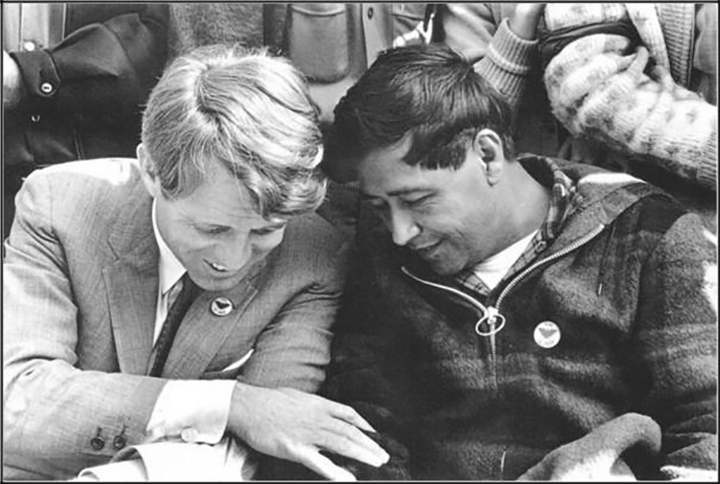 On its final day in Delano, Calif., in 1968, he was joined by Senator Kennedy, who called Chavez “one of the heroic figures of our time.” Today, Chavez’s name is synonymous with the struggle for justice by American farm workers and dignity for the nation’s poor. Joining RFK Schools students participating in the program are Kerry Kennedy, RFK’s daughter and president of Robert F. Kennedy Human Rights, an international human rights organization; Paul F. Chavez, Cesar’s son and president of the Cesar Chavez Foundation; UFW President Arturo S. Rodriguez, Chavez’s successor; former labor leader Paul Schrade, who brought Robert Kennedy to Delano and was seriously wounded when RFK was killed; and farm labor and civil rights leader Dolores Huerta, who was also with Senator Kennedy that night. Part of the presentation will be a panel discussion about today’s meaning in a shifting climate – moderated by L.A. School Board President Mónica García – with the “future generation” of the movement, including Julie Chavez Rodriguez, granddaughter of Cesar Chavez, current state director for Senator Kamala Harris and former top White House aide to President Obama; Georgia Kennedy-Bailey, granddaughter of RFK; and two students from RFK Schools who are immigrants, Wendy Garcia-Torres, originally from Central America, and Sumaiya Sabnam, originally from Bangladesh. Also featured will be a photo exhibit chronicling the 1968 fast and the Chavez-Kennedy relationship. About Cesar Chavez: Born in 1927 on the small farm his grandfather homesteaded outside Yuma, Ariz., Chavez became a migrant farm worker with his family in California during the 1930s and ‘40s, quitting school after the eighth grade to work full time in the fields. After serving in the U.S. Navy just after World War II, he became a community organizer in 1952 with the Community Service Organization, which he helped turn into the Southwest’s most effective Latino civil rights group of the ‘50s and early ‘60s. With his wife, Helen, Dolores Huerta and other early organizers, Chavez began building what became the United Farm Workers in 1962. Three years later, his union joined a strike begun by Filipino grape workers in Delano, Calif., which lasted five years and rallied millions to their cause with an international table grape boycott. Two-and-a-half years into the strike, Chavez conducted a 25 -day, water-only fast to rededicate the grape strikers to nonviolence. Chavez lost 35 pounds and doctors warned his life was in danger. The fast ended 50 years ago on March 10, 1968, during an outdoor Catholic mass at a Delano park attended by thousands of farm workers and supporters. A weakened Chavez, supported by two men, was joined by U.S. Senator Robert F. Kennedy just five days before he announced his presidential candidacy and three months before the senator’s assassination. A second grape strike and boycott convinced Governor Jerry Brown and lawmakers to pass the California Agricultural Labor Relations Act of 1975, the first law in the nation granting farm workers the right to organize and bargain. Chavez led numerous strikes, boycotts, marches and political campaigns during the 31 years he led the UFW. His last and longest public fast of 36 days was in Delano in 1988 over the pesticide poisoning of farm workers and their children. Since his passing at age 66 in 1993, countless public places have been named in his honor and thousands of annual commemorations are held, especially around his March 31 birthday. More than 50,000 people attended his funeral services in the small town of Delano, the same community where he had planted his seeds of social justice decade before.